The new extension brings another level of flexibility and convenience for our users, who often use multiple devices. It provides all the features of a softphone but does not require the download of any new software. VoIPstudio is excited to announce the launch of a new extension for Google’s Chrome browser, which includes complete softphone capabilities and enables new click-to-call functionality. The plugin, available as an extension from Chrome Web Store, integrates the existing VoIPstudio desktop softphone directly with the Chrome browser, enabling subscribers to access all of their standard features. It provides new levels of portability, allowing users to log on from any device equipped with Chrome. Users have full access to their calling history, across all their devices, and can access recordings and their contact list from a secure, browser-based environment. It also adds click-to-call functionality by converting numbers from websites that users visit to clickable links and offers intelligent management through the contact directory. When a user places a call to a number listed on a website, the call and the number are also presented in the call history. Other numbers that have yet to be called are not stored, but can easily be accessed from the relevant website, when required. “The new extension brings another level of flexibility and convenience for our users, who often use multiple devices,” commented Rob Seymour, Marketing Director of VoIPstudio. “It provides all the features of a softphone but does not require the download of any new software. It’s particularly useful for call centre agents, who can simply login via a browser to enable access to their features and call history,” he added. While Chrome supports capabilities such as WebRTC, these are not generally available across all browsers and versions, so the integrated extension solves this problem for businesses that wish to use browser-capabilities alongside traditional devices. The new Chrome extension further extends the award-winning VoIPstudio suite, giving even more options and flexibility to subscribers, that are aligned with their work habits and cloud-migration strategies. 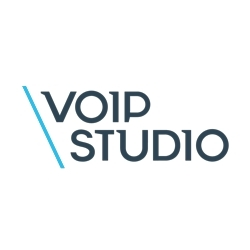 VoIPstudio brings a host of benefits, such as hunt groups, call recording, conferencing and more, for businesses of all sizes, but with a uniquely flexible model. It’s also available as a mobile app, helping today’s businesses boost productivity, regardless of their location. Unlike many VoIP solutions, VoIPstudio is fully compliant with national regulations for emergency service calling and GDPR. By reducing both entry prices and ongoing costs, VoIPstudio brings a radically different communications solution to businesses of all sizes. VoIPstudio is an award-winning VoIP telephony platform that is based on solid infrastructure. It enables flexible, secure connections between users and business entities. VoIPstudio instantly helps businesses to be more productive, without the expense of buying and managing an expensive on-site telephone system. All our business VoIP solutions and features are delivered at a fraction of the standard PBX price.